The Ebeko volcano on the Paramushir island, located in the Russain Kuril Islands archipelago, spewed out a column of ash to a height of 4.5 kilometers (2.8 miles), the press service of the Russian Emergencies Ministry's department in the Far East Sakhalin Region said in a statement on Saturday, according to Sputnik. 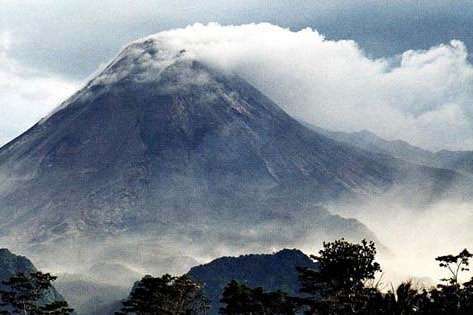 "On October 6, the emergencies control center of the Russian Emergencies Ministry's department in the Sakhalin Region received information that the Ebeko volcano was seen throwing ash to a height of up to 4.5 kilometers. The plume of ash has moved to the south of the volcano," the statement read. The town of Severo-Kurilsk, located 7 kilometers from the volcano, had not experienced ash fall, the statement added. The situation is not threatening the lives of local residents, according to the statement. Ebeko woke up in 2016 and has repeatedly thrown ash since then. The Kuril islands in Russia's breathtakingly beautiful Sakhalin region, are a volcanic archipelago that occupies a vast land of roughly 1,300 kilometers northeast of Japan's Hokkaido to Russia's Kamchatka, drawing a line between the Sea of Okhotsk and the north Pacific Ocean.